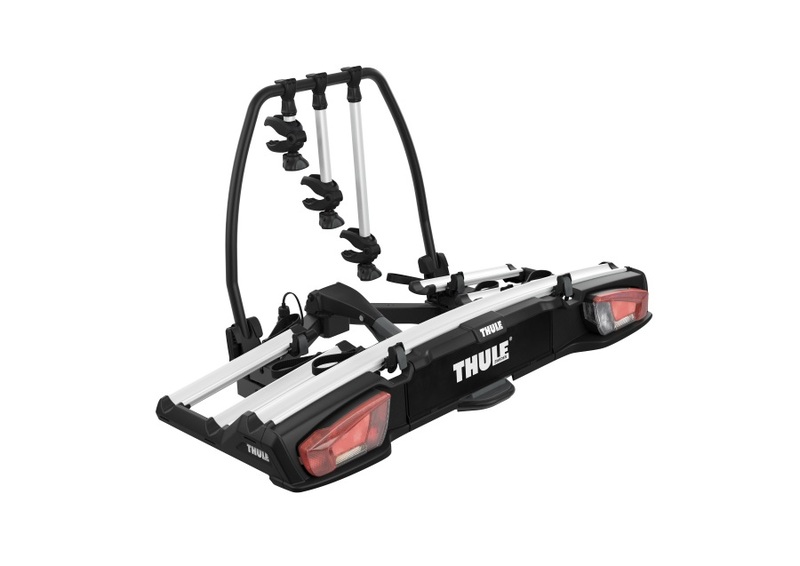 The Thule VeloSpace XT 3 is a 3 bike tow-bar mounted carrier which can take a 4th bike with an additional adaptor. Suitable for all types of bikes including e-bikes, fatbikes and small childrens bikes. A versatile bike rack with high load capacity and spacious design that can carry a wide variety of bike stypes including e-bikes, heavy mountain bikes, fatbikes and even small childrens bikes. The VeloSpace XT 3 carries 3 bikes as standard but can carry up to 3 bikes by adding the optional 4th bike adapter. 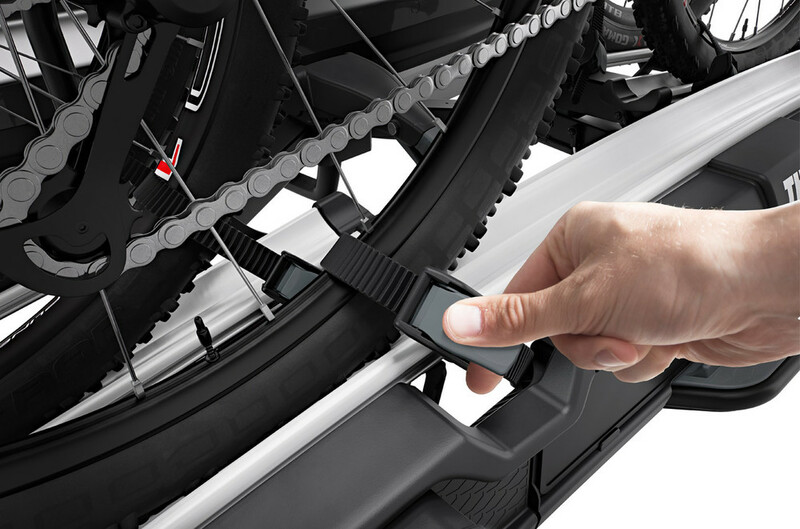 Mounting bikes is easy with detachable bike arms featuring Thule AcuTight torque limiter knobs that 'click' when the optimal torque has been reached to hold the bikes securely. The wheels fit easily to the wheel trays with adjustable pump buckles. The whole carrier is an easy fit to a towbar, with easy adjustment of the bike rack before closing the tightening handle thanks to the towbar couplings initial stability. 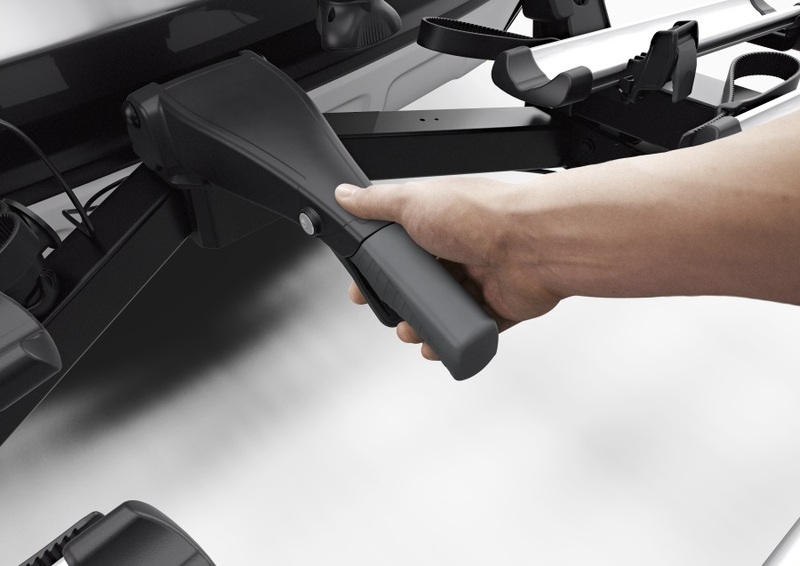 The smart foot pedal tilt system allows for easy boot access with the bikes on the carrier. Even large rear doors can be opened due to wide tilt angle. 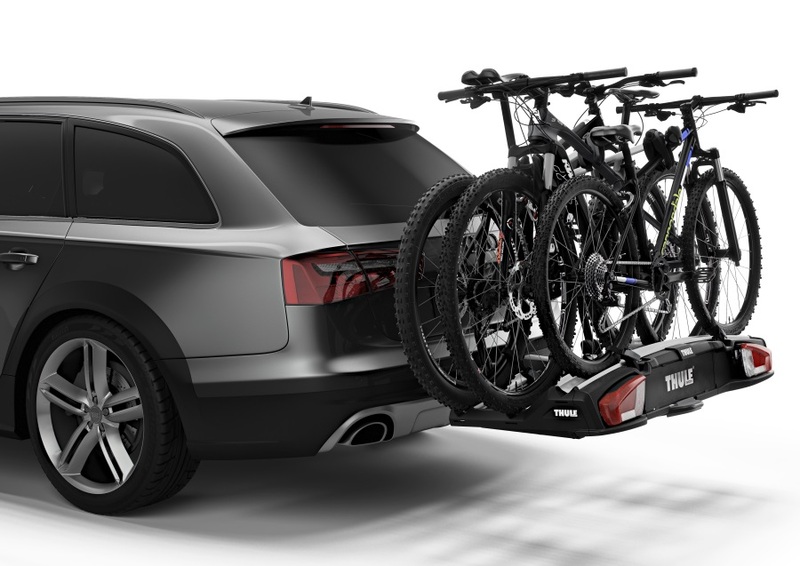 The VeloSpace XT is the preffered bike carrier for transporting heavy bikes. 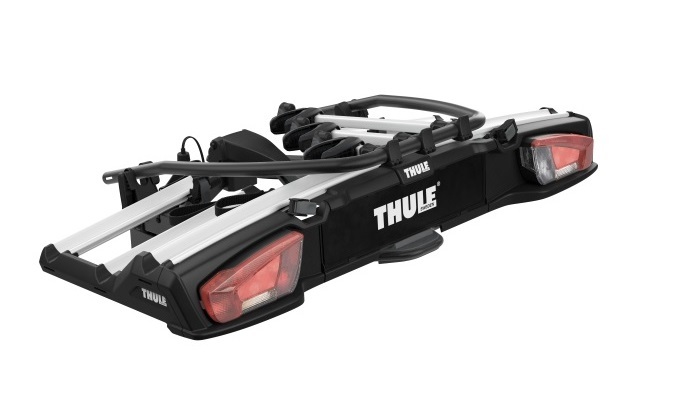 Combine with the Thule BackSpoace XT to provide an all-round cargo carrier with 300L of extra loading space! Wheel Sizes Up to: 4.7"
* IMPORTANT NOTE - Video may not show the current model for the Thule VeloSpace XT 3 939. We offer a delivery service for the Thule VeloSpace XT 3 939 throughout the UK & Ireland to home and work addresses. Buy a Thule VeloSpace XT 3 939 online from our website and collect from one of our nationwide branches.